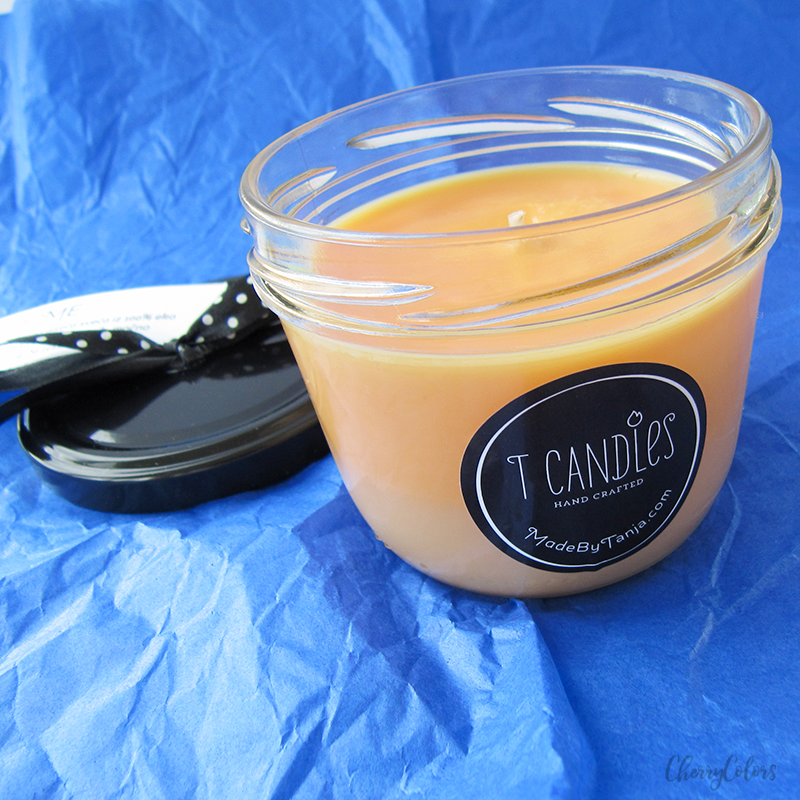 T Candles - candles that make your home smell great - Cherry Colors - Cosmetics Heaven! I love walking into a nicely scented room. I am a big fan of nicely smelling rooms or houses. I would normally just use air sprays and call it a day, but those don't smell that great for a long time and they do also get used up pretty quickly. That's why I was a bit skeptical when I read all the mouth-watering descriptions of the T Candles on their site. Read on and see for yourself how well did the T Candles do on my tests which took a couple of months. Each candle T Candles, we create, is the result of careful testing. We use only natural soy wax, cotton wicks and packaging that can be reused or recycled. All this complemented by a carefully selected collection of wonderful fragrances. Our products are designed with a commitment to sustainable development, preservation of the environment and health. Read more here. The candles come in multiple scents with mouth-watering descriptions. Most of them are named after food. 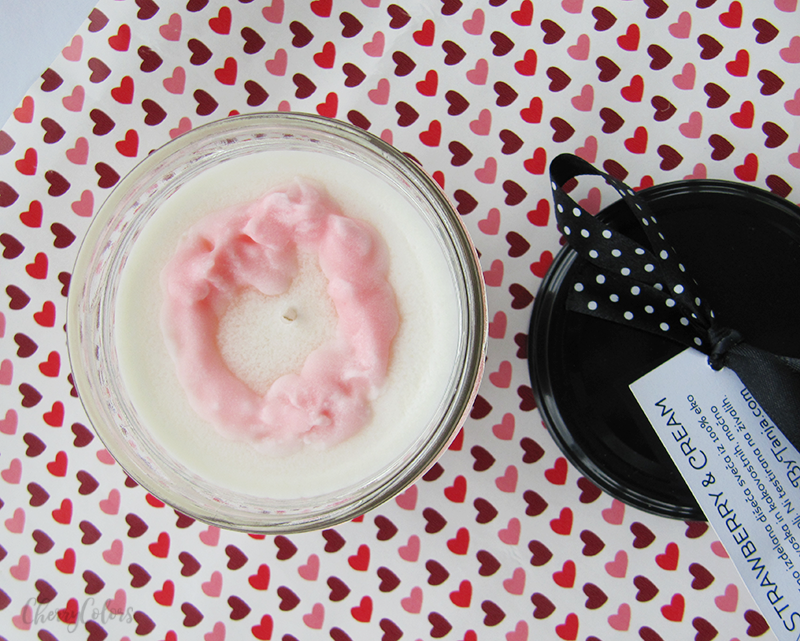 With names like Blueberry Pie, Coco Brulee, Strawberry Cream and so on, it's hard to decide on just one candle. I got in contact with the creator of T Candles and she was fantastic! We met at a coffee in Kamnik where she brought a bunch of candles for me to pick from. Let me tell you one thing, I was sniffing and oohing for the whole time picking my own candle. It was stupidly hard picking just one. But I managed to do so! YES! The thing is, that she was super kind when she told me to go ahead and pick another one. The story repeated. Hahaha. I ended with two scented candles. The scents of the candles are really strong and linger for a very long time. They aren't sickness inducing, which I am grateful for. Treat for all gourmets. Delicious first layer with the sweet smell of grandma's homemade Pecan pie, followed by a combination of banana and coconut cream. A delicious smelling candle that filled my cravings for sweet. It gave the rooms a nice, warm scent that seems to come with colder months. Freshly picked strawberries with cream. This candle smells exactly like homemade strawberry pudding. 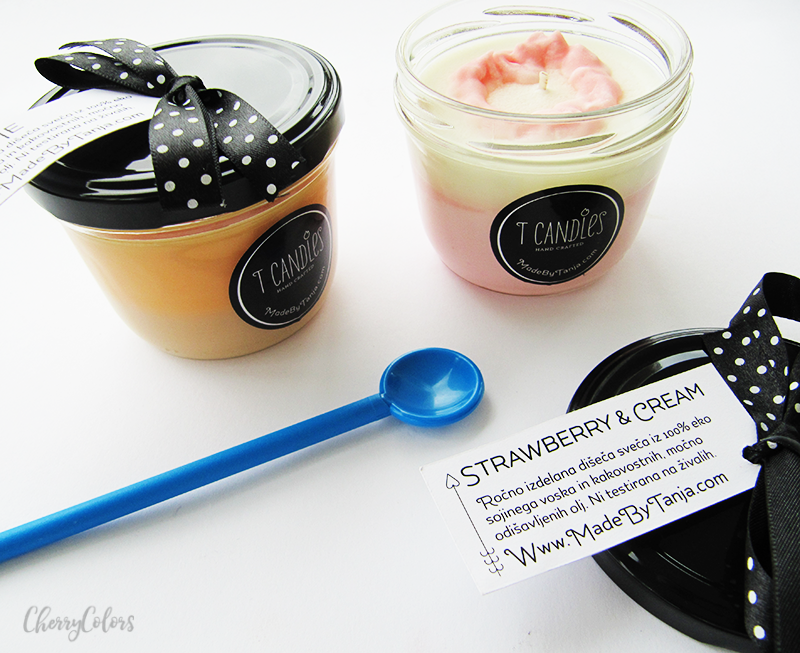 I am not a fan of the strawberry pudding, but this candle gave me such strong cravings that I wanted to eat it each time! The thing is, I burned them only a couple of times. For max 10 hours all together. But that's because there's no need to burn them since the scents are so strong that if I leave a candle open, without the lid, my whole room smells like it. I mean, it's brilliant! The candles should burn for 40 hours which I'm still testing out because they give this nice scent even without getting lit. I love them. I am hardly ever so excited about having and using scented candles because most of them are garbage and if they aren't bad, they are overpriced. I'm looking at your Yankee Candles! These are made of soy way have a cotton wick and are filled with scented oil. Plus they are only 14,90€ for each of these long lasting delicious-smelling candles. I took so many photos, that today I'm sharing a whole gallery with you all. I also made a video about these candles in Slovenian, which you can find here.